I am convinced that there is a gene for “coaching” and it is well embedded within my DNA. My father had been a football coach for as long as I could remember and now mentors high school aged football players in the Southern California area who are preparing to enter the cut-throat world of Division I athletics. My mother, in her own respect, as one of the top real estate agents in the Indianapolis, Indiana area, spent much of her career coaching and training up-and-coming realtors for a leading local home builder. One time I asked my parents at a young age why they named me, “Kennedy” (Not because of President Kennedy). I was told they named me after a football coach that had a significant impact on their life. If you are a team-sport athlete, you may relate to a large amount of your time spent in the weight room. As a strength coach, I am well aware that not too many athletes thoroughly enjoy being in the weight room. There is nothing natural about what goes on in the weight room. Athletes are participating in workout sessions that are inducing physiological stress and damage to their bodies. What follows is a painful process to repair what was damaged in order to go through it again a day or two later. Whether it is a school weight room or a public gym, these environments are designed to expose weakness and “rank” people as being potentially better than someone else. In light of this, there are not too many experiences outside of athletics that can prepare you for life in the way that the environment of a weight room or gym can. In his podcasts, Ron McKeefery refers to the weight room as the greatest microcosmic representation of life. When I am coaching my athletes, their responses to what I am putting them through tells me all I need to know about their character and how they will handle adversity. If there is one certainty in life, it is that we all will face difficult trials at some point. Be it losing a job, divorce, death of family members, finances, illness, college... something significant is going to hit you hard and you are going to have to find a way to cope. The struggle of the weight room allows me to proactively confront the struggles of life that my athletes may go through on a daily basis. I never claim to have all the answers to life’s many problems, but I can say that growing up in athletics and especially my experiences with my teammates and coaches through off-season training sessions has taught me how to fight through seemingly impossible situations. If I could sum up in one sentence what being in the weight room as an athlete and strength coach has taught me, it is that I have very little control over what ultimately happens in my life, but I possess a massive amount of influence. In the context of this post, I could train using a number of different methods, weights, programs, etc. but I, nor my athletes, have any control over how their bodies respond physically. What I can influence is mindset, attitude, and self-efficacy. Strength coaches are often the most organized (some to the point of obsessive-compulsive) people you may ever meet. With that being said, the chaotic nature of this job forces coaches to practice the skill of improvisation and learn to deal with uncontrollable situations as they come. I admit this was a hard truth for me to realize at first but I’ve found that becoming a more, “go-with the-flow” type guy has allowed me to truly enjoy working with all types of people and and personalities. One thing I clearly remember being a constant in my athletic experience is how the strength coach was often the most trusted coach on the staff. This was due to the strength coach spending by far the most amount of time with us athletes. In fact, he was the only coach I would interact with on a near daily basis. The job description of a strength coach is multifaceted and complex, and with that comes a plethora of responsibilities, however one underlying necessity of a strength coach is the ability to know their athletes on a personal yet professional level. I could write a book on the number of questions, complaints, and concerns with which athletes have approached me. 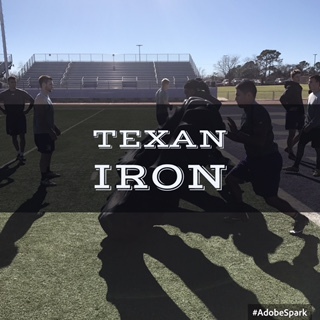 Often times, in order for me to perform my job and address those issues, I have to know what that particular athlete is doing perhaps even outside of the weight room. The ability to have these conversations establishes a level of trust between the coach and the athlete that can last a lifetime. I can honestly say the only coaches I consistently keep in contact with from college and high school are not my head coaches, not my position coaches, but my strength coaches. The time I spent with them and the time that they invested in me made me a better player and more mature person. As a strength coach, I strive to make people better in more ways than solely their athletic ability. I am that type of person who absolutely cannot stand monotony. I would drive myself mad if I performed the same routine, providing the same workout programs, running the same conditioning drills every...single...day. Sports are variable in nature, therefore the manner in which we train people for them should specifically mimic the variables present in that sport.1,2 That is precisely why I love what I do. My job allows for endless amounts of creativity to the point where you can be doing something different every single day. Simple or complex, high volume or low volume, heavy or light, fast or slow, the possibilities go on and on. I would also like to point out that at some levels, (specifically high school, and NCAA Divisions II & III) strength and conditioning coaches are the only coaches in an athletic department that work with various sports on a highly frequent basis. Therefore, a strength coach has to know how to elicit great performance with athletes of different sports, using similar principles while shifting the focus for each sport. For the reasons explained above plus many others unmentioned, this profession keeps you on your toes at all times and I wouldn’t have it any other way. It is often said in various ways that if you love what you do for a living, you will never work a day in your life. We read articles and postings all the time about how dissatisfied people are with their careers and those who fall victim to that situation often think if they change careers, they will be more happy. I would recommend to those people that before applying to a job or considering a career move, they seriously consider why they are doing what they are doing more than just what they want to do. There are a number of reasons why I could get out of strength and conditioning and maybe have a career that is less stressful, doesn’t require as many hours, and pays more, but there are more and better reasons as to why I stay in it. If you are a coach, trainer or educator in any form, you know that we don’t necessarily do it for the fame, or the money, or the credit. We do what we do because of the potential to change lives and help people become something they never thought they could be. In my opinion no amount of money can equate to that reward. Kawamori, N et al. (2006). Velocity Specificity of Resistance Training: Actual movement velocity versus intent to move explosively. Journal of Strength and Conditioning, 28(2), 86-91. Read, PJ et al. (2016). Performance Modeling: A Systems Based Approach to Exercise Selection. Journal of Strength and Conditioning, 38(4), 90-97.